Social Network links are described. ( Facebook Page or account, Youtube, Instagram ) User can save the favorite data after searching through our app by tapping the favorite button for the later uses. 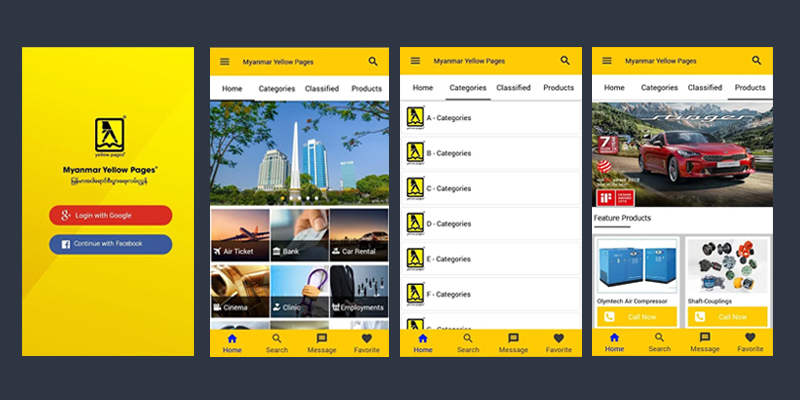 Business Types can be found in two languages- Myanmar and English and it will be very helpful and convenient for both local and overseas users. Android and IOS version are available. 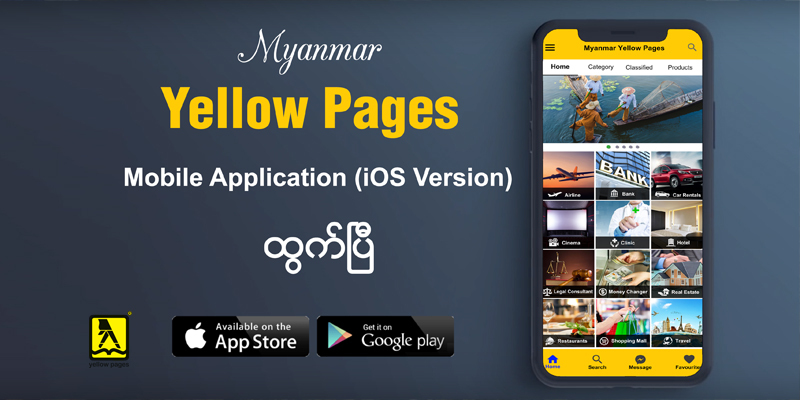 Download Myanmar Yellow Pages Directory now for free.